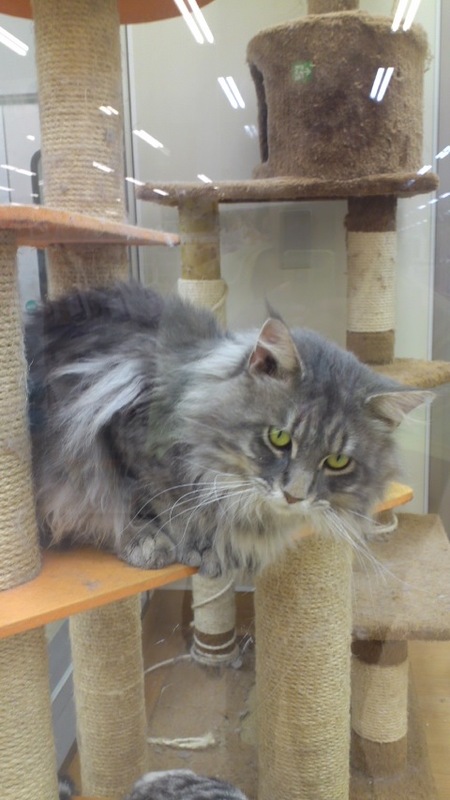 When my husband and I shopped in the cat section of a local home improvement shop, this cat caught my eye. Maybe this cat looks like a normal cat in the picture, but he is as tall as my husband’s knee and he weighs 20 pounds–the biggest domestic cat I’ve ever seen in my life! And his asking price was a whopping $2,620!